- Mirai Kawashima/ Fender Rhodes, Hammond, Minimoog, Yamaha acoustic piano, Hohner Clavinet, Yamaha string machine, Roland Vocoder Plus, other keyboards, sampling, programming, modulator, effects, Speak & Spell, recorder, melodeon, bass, vocal, string/horn arrangements, etc. Sell your SIGH items on eBay ! Instantly enjoyable Avant-Metal? Look no further. I like Avant-Garde music but I like having fun too! How many times have we heard that sentence? Indeed, it is often considered that if music is avant, it is no fun and hard to get into by digesting and enjoying. Well, with the Japanese avant- metallers Sigh this isn't the case! First of all, let me start this reviewing by saying that in the world of music nobody sounds like this group. Originally a Black Metal group, they have grown up over the time and on this release such a diverse variety of influences and sounds is being used, that you can't help but wonder: will the result be as a good as the ambitions? The answer is positive. Whilst the transition between two completely different musical styles of one song isn't performed flawlessly, which actually is the point, as proven by most avant collectives, it does not cross the line and come across as pretentious. Sometimes while you listen carefully you notice such styles of music performed on the record that are untypical for a general Progressive Metal group. Sigh are classified Progressive Metal on this website. Although I don't deny the obvious Metal influence and the heavy sound present in their music, I have to warn you it goes deeper than that. It isn't really an extreme album, by any means. The only thing it takes after the more extreme types of Metal are Mirai Kawashima's raspy vocals, which, while not remarkable in any way, make the tracks either catchier or more dramatic, depending on the mood. The Metal influences are present mostly in the shape of the tradition 70's Heavy Metal sound, and sometimes there are even parts that remind of groups like Deep Purple, proving the diversity of the group. The guitar work is beyond all of my expectation is absolutely outstanding! The riffs are catchy, melodic and over the place, something you'd expect from Iron Maiden and the most advanced of the Swedish 90's Melodic Death Metal scene. The soloing is inspiring and just long enough not to make one feel bored. What really makes this album so unusual and unique is the amazing keyboard work - both in accompenimt to other instruments and in the solo parts. Corpsecry - Angelfall is the first track on the album and also the the most straightforward song here. It has a catchy, perhaps a bit repetitive, chorus, something that can be said about many of the tracks here. It is a lot of fun to listen to. I suspect that the track is actually seperated on Corpsecry and Angelfall, latter being the classical outro of the track. Only after the first song, however, does the album begin to show its identity. The folower, Scarlet Dream, is a slower paced song and also much more psychedelic. It does, once again, have a catchy chorus on its own. Nietzchean Conspiracy is the most extrardinary piece here, devoid of any heavy elements and rather influenced by a large amount of different types of modern moods. 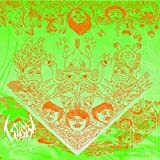 It is even more psychedelic and includes a long instrumental part that reminds the average progger of the 70's Canterbury Scene. This Caravan-esque moment is present on the next track as well. The next song, A Sunset Song, is hands down the catchiest of the album, with a bizarre contradiction - happy music meets violent singing with dreadful lyrics. It doesn't flow very well, but I like it for what it is. Impromptu (Allegro Maestoso) is a short classical instrumental that leads into the next song - Dreamsphere (Return To Chaos) - which is rather similar in mood to the previous ones. 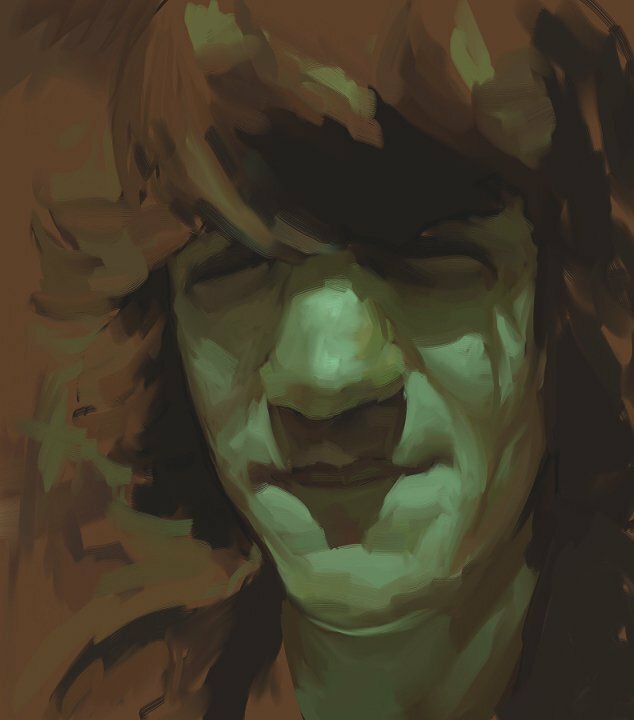 The intro to Ecstatic Transformation reminds me heavily of Deep Purple and everytime I hear it, I am freaked out that a cartoonish black metal scream kicks in instead of Ian Gillan's voice. The hard rock influence is present in many times throughout the track, together with the chorus mixed with electronic music. The highlight of the album is arguably the almost 11-minute long Slaughtergarden Suite. At first I found it to be the least catchiest tune here, but later I realized that it is much more serious in musicians' approach to composition than the other tracks and found what could be one of the most geniusly written Avant-Metal tracks ever. Requiem - Nostalgia closes the album in an unexpected way - clean choir sung vocals appear here in the chorus and they suit the music extremely well. Although I can't quite allow myself to award this album the maximum five star rating, which would make it a masterpiece of progressive music by the site's guidelines, that I follow loyally, I must say that the only thing that hinders me from doing it is the fact that the tracks on the album are too inconsistent and chaotic for its own good. However, it makes it up with the extraordinary sound that you are not very likely to find anywhere else. The album is highly recommended to all open-minded Progressive Music fans, as, despite being put into the progmetal box, it includes segments of other types of music. I especially happen to believe that those who appreciate the symphonic style of prog done in the 70's will love this album. The same, on the other hand, goes for the progmetalheads and the avantgardists - there is something for virtually any listener here! Not a masterpiece, but an excellent addition to any prog music collection nonetheless - truly a Must-Have album! A great thing about heavy metal is that it has reached virtually every corner of the world, and the more recent generation of metal has seen many of its brightest shining stars coming from places one might not first expect. From Japan comes Sigh, a band that is a current frontrunner in black metal of the 'weird' variety. A band that has wandered through a different style with seemingly each new album they release nowadays, Sigh finds a unique and quirky sound on 'Imaginary Sonicscape', staying true to any avant-garde label while being infectiously catchy and fun. These certainly aren't tags one would normally think of when speaking of black metal, but Sigh makes it work. Although the band's experiments here are not all successful, I can't help but love what the band has done here. Recently, I've been finding quite a few black metal bands that are incorporating ample amounts of psychedelic rock into their sound. Sigh is no exception to this, and they make the combination sound very convincing. Although Sigh's sound is certainly rooted in black metal, many of the songs here use upbeat hooks and melodies to give the music a sense that it is more parts 'fun' than 'funeral', and on some tracks (most notably the ridiculously enjoyable rocker 'Bring Back The Dead'), you shouldn't be surprised if you're rasping along to the chorus. Although pop music is in audible effect here however, there is good reason to call Sigh an avant-garde metal band, although the weirdness is not always in full swing. Sigh takes what have otherwise been largely (although not fully) a straightforward melodic black metal album and adds strange electronic effects overtop some parts, to give a quirkier feel. While it is only to the benefit and credit of the band that they are taking risks, many of the electronic layers they use sound shrill and even a little distracting from the main attraction, which is the wonderful songwriting and delivery. The band takes some big leaps with composition as well; although 'Imaginary Sonicscape' is no stranger to the concept of the melodic hook, there are moments here which define any category that Sigh may have been placed in before. The highlight of the album 'Requiem - Nostalgia' even plunges into something that sounds like an Ennio Morricone soundtrack to some Spaghetti Western film. As a rule, it is the compositional experiments that the band takes that are always more successful than the weaker layering experiments. That is the only flaw that seeks to demerit this masterpiece luckily however, and while 'Imaginary Sonicscape's more adventurous segments may take a little while to get used to despite the instantly endearing nature of the rest of it, Sigh has made a masterpiece here that defies tradition. The extreme progressive metal bands are indeed quite a strange lot. Right from the start, with very few exceptions, you can never determine where they will come from or what they will sound in the future. In spite of that, with over 20 years after the first members of such lot appeared, some patterns start to appear, like the progressive "symphonic" (used here as a broad term) black metal of Vintersorg, Borknagar, Arcturus, Solefald and Moonsorrow, the progressive "space" black metal such as Enslave and Helheim, the progressive melodic death metal from bands like Edge of Sanity, Disillusion and Kalysia, the progressive death metal of bands like Augury, Death, Gojira and Blotted Science, the jazz metal fusion, famed by bands such as Pestilence, Cynic, Atheist, Aghora, Animals as Leaders and Exivious and the progressive thrash of Watchtower, Voivod, Spastic Ink and Vektor. However, even in a genre with so many different sub genres within itself some bands find a way to defy all of them and create something that can only be described as their sound. Something so unique that they will serve as a point of reference for all others to follow, merging influences, musical styles and blurring the lines of what's possible and what's not possible inside extreme metal. Together with Opeth and Meshuggah, Sigh is one of those bands. Reinventing themselves in every new album, breaking boundaries and new ground, this Japanese band definitely does not fear innovating and renovating themselves. Said transformation properly started in their fourth full-length studio album, entitled Scenario IV: Dread Dreams, when they started transforming to something more than just a black metal band; however, things would only bloom in full with their next album, the 2001 opus entitled Imaginary Sonicscapes. Throwing many conventions for black metal music right off the window, Sigh here starts their journey to merge unexpected and, at times, completely unrelated genres together, mishmashing everything into one record. Here, sigh incorporates huge deals of psychedelic music from the 1960's and early 1970's into their compositions as well as adds overlays of electronic effects to them. The end result, however good it is, feels somewhat flawed for me mainly because of the keyboard and synthesizer tones they decided to use here. Yes, the choice of using some keyboard and synth sounds that clearly belonged to the 1990's was not good at all because, after all, said decade was not quite fond of good keyboard sounds in general. That can be felt even in very good albums, like Dream Theater's Images and Words and Arcturus's La Masquerade Infernale. Apart from that, all other instruments sound terrific! I specially like how the guitar sound raw, deep and intense and how the drums also sound raw and aggressive, accentuating the band's musical potency in general. Another minor downturn is insisting in the idea that harsh vocals should and must be used in every instance of every song. Some songs or parts of songs here would sound better if the vocals were sung of whispered in a creepy or frightening manner, so the vocals would emphasize the song's atmosphere. On the bright side, they have learned this and on future albums they have used such resources to impressive results. As I said earlier, the music here can be described as psychedelic rock mixed with black metal. But, how can you even begin to describe such sound? After all, there are not any point of reference to how they sound. Nothing. In spite of that, I feel that putting together completely unrelated bands I could try and explain how Sigh sounds here: just imagine if early Venom decided to play some songs by the (late era) Beatles or (early) Soft Machine or the Beach Boys (around Pet Sounds) or Iron Butterfly (around In a Gadda da Vida). Try and picture that and you will have an idea of how Sigh is in Imaginary Sonicscapes. Even though Imaginary is much loved by many (of the few) who know in depth the music of Sigh, to the point of considering this 2001 album the best in the band's musical career, I beg to differ. In spite of having interesting, inspired and innovative musical ideas, their execution is underwhelming at points, what keeps me from giving this album the perfect rating. I must agree, however, that it is excellent in many instances and, in the big picture, it is an impressive album, whose music twists and turns in exciting and unexpected ways. That is why I believe the 4 stars rating fits this album perfectly. 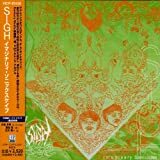 This is my first taste of the Japanese rockers Sigh, and this trio are on a totally different musical planet to the rest of us. If their other four full-length albums are quite like this, then they have been wreaking some sort of musical terrorism. Example: The first song is called "Corpsecry ? Angelfall". Right I thought, a Death Metal album. Then the guitars started and I thought no, a wicked trad metal album. Then the vocals started, and I thought that is strange, as it was trad rock but with death vocals. When the orchestral section kicked in, I was confused. The Las Vegas lounge core had me going for a while, but by the time we came to the piano instrumental I had given up trying to work out what was going on in their oriental minds. It is one of the most confusing albums I have ever heard. 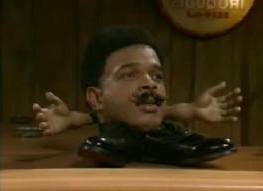 Just when I think I have a handle on them they shoot off in a weird direction from left field. If they left some of the basic rock songs alone they would be great, but they have to tamper with each. Their audiences must get very confused. Nevertheless, because of all of this, this is very much a fun album to listen to. The eleven-minute "Slaughtergarden Suite" shows that Sigh definitely inhabit another realm, and I want to visit. Having shed most of their black metal roots with the exception of the vocals, this is in fact a smorgasbord of musical genres and ideas happily playing together and taking turns in their parade from one sonicscape to another. The first song 'Corpsecry - Angelfall' is a perfect example. Yes, the vocals are of a black metal style, but the guitar riff sounds more Iron Maiden inspired to me with lots of electronic embellishments. Unpredictable yet accessible is the name of the game here. You never know what the next track will bring you. Will it be a loungy jazz track completely synthesized with psychedelic sound effects and a nice keyboard solo? Or will it be a depressing doomy metal country song with a disco break? Very Mr Bungle inspired but sounding nothing like them. 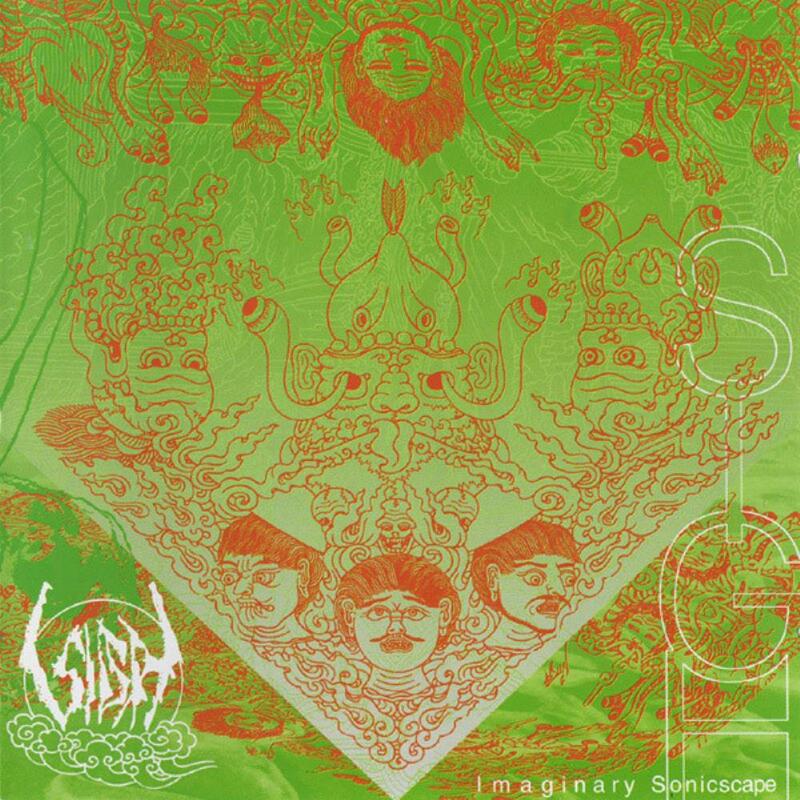 Post a review of SIGH "Imaginary Sonicscape"